Wonderful, well maintained & nicely decorated 3 bedroom, 2 bath East End near beach canal home. Split floor plan centered by the great room with volume ceilings & a large eat-in kitchen. Sliding doors from both the great room & master suite open to the screened lanai with views to the mangrove lined canal while offering excellent privacy. 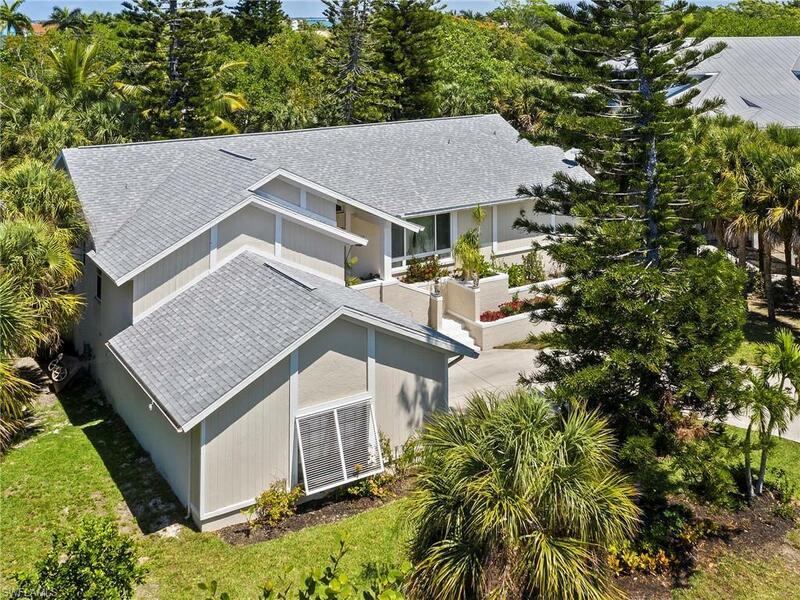 Fabulous design & solid construction - the living level is elevated on concrete block exterior walls and the lower area has a side load double garage & abundant air-conditioned storage. Impact glass windows were installed in 2015 and a new roof in 2012. Large dock with water & electricity. Excellent location! The Gulf of Mexico is only about 10 minutes by boat & itâs approx. only a 10 minute walk to the beach. You can also walk or bike to the marina & nearby restaurants. The Sanibel Causeway is close by for easy on/off Island access! The mangrove waterway here is also great for kayaking & fishing. Truly a super island home!